Secret Wars was a 12 part series from Marvel Comics that introduced the character of The Beyonder to the Marvel Universe. The Beyonder, assembles a planet from chunks of other planets and dubs it "Battleworld". He then kidnaps several heroes and villains from Earth, and transplants them on Battleworld to fight for The Beyonder's amusement. During this story-line, Spider-Man discovers his black suit within alien technology that he finds on Battleworld. 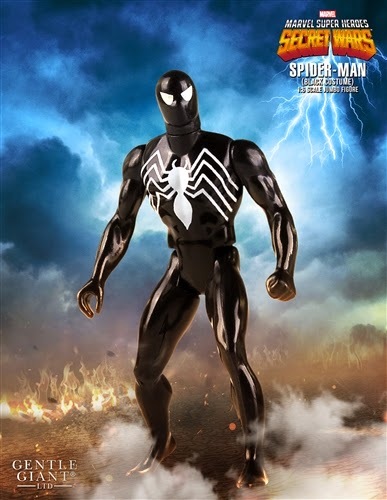 This suit would go on to not only redefine Spider-Man, but become one of his worst enemies as the villain Venom! 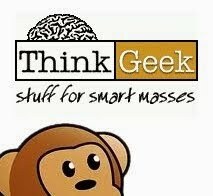 The Secret Wars event crossed over several Marvel Comics titles from May of 1984 to April of 1985. 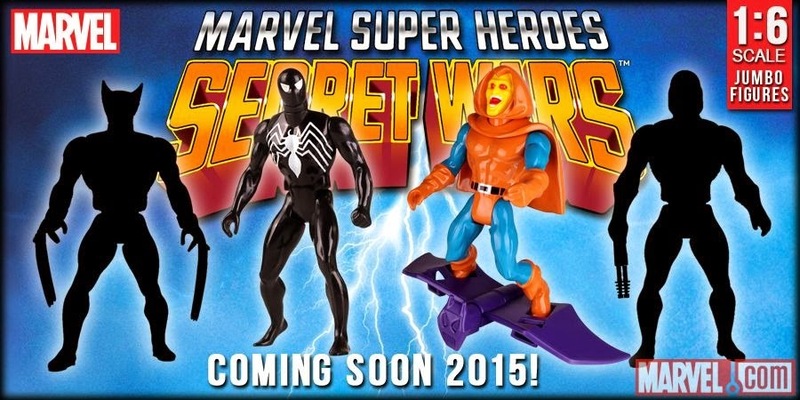 The series was tied into the immensely popular Secret Wars action figure collection. Each figure included their signature lenticular shield that was unique to the series. The line spawned 2 series of figures, as well as vehicles and playsets. 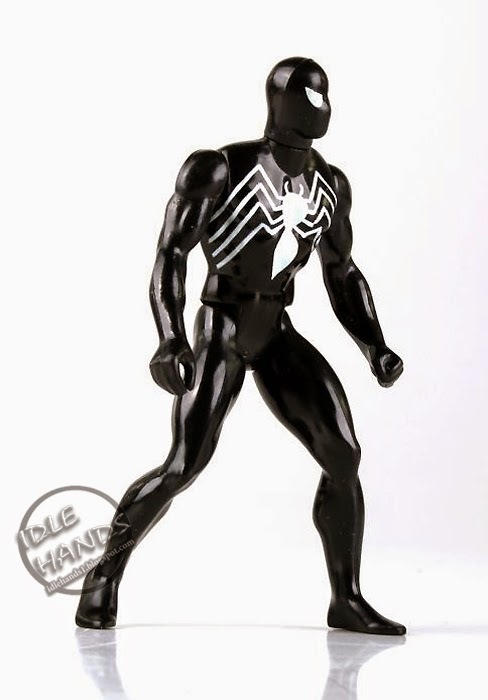 Digitally scanned from the original Mattel Secret Wars figures and reproduced in 12” scale, no detail has been overlooked. 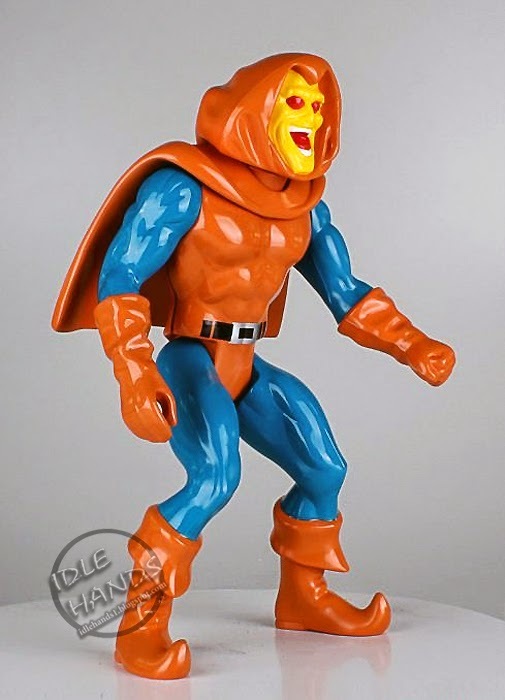 Roto and injection molded and made of durable plastics, this fully-articulated jumbo figure includes a faithfully re-produced lenticular shield. To further capture the vintage feel, Gentle Giant has packaged this figure with a Secret Wars-inspired backer card featuring original photos and artwork. Designed with the collector in mind, the figure comes in a resealable plastic outer clam shell to help protect and display this limited edition figure. 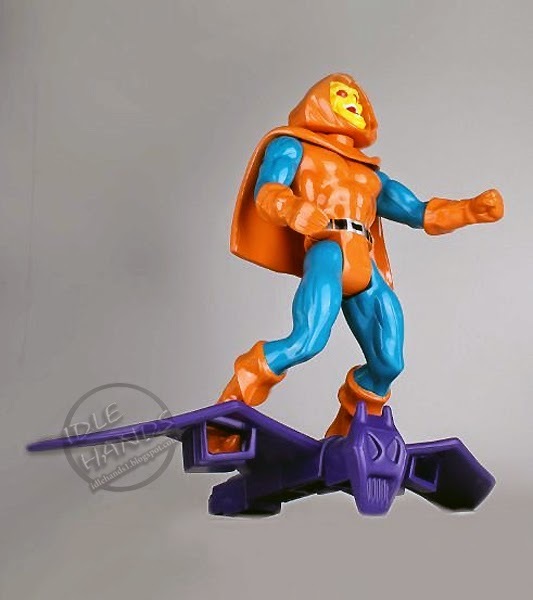 Marvel.com revealed the second release in one of Spider-Man's baddies, Hobgoblin, while teasing 2 more figures for the line. The first is obviously Wolverine (claws!) and our bet is on Magneto for the other mystery man, in keeping with the good guy/ bad guy theme. 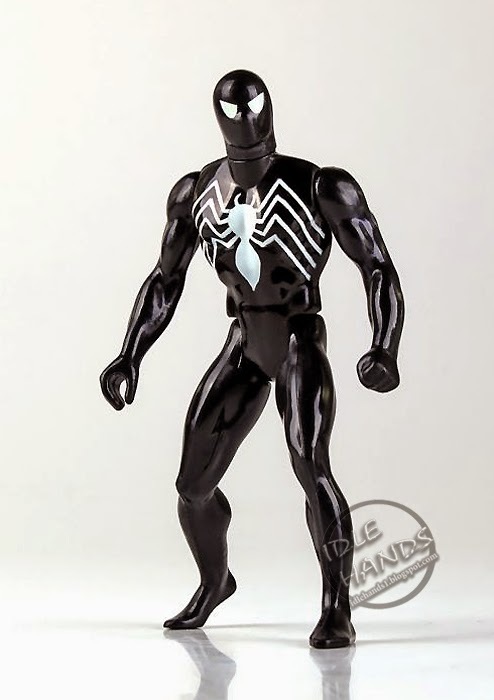 Hit the link to pre-order Black Suited Spider-Man and start your newest obsession!